How Can I Reach Who’s Your Walkie? 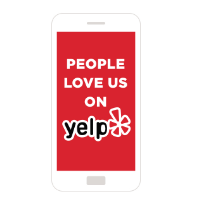 Our phone number is 831-536-4920. You may call or text this number. If we are unavailable, please leave a voice mail and we will return your call as soon as possible. Who’s Your Walkie? is open 7 days a week, 24 hours a day. We offer Hiking Adventures in the morning and afternoon. We cannot guarantee an exact pick up time because drive times, traffic and weather vary day by day. We offer our 1.5 to 2.5-hour Group Hike Adventures several times a day, in the morning and afternoon. Pickup times range as we are picking up multiple pups with different routes each day and traffic can be unpredictable. Morning hike pickups typically take place between 9:45am and 10:45am. Afternoon hike pickups typically take place between noon and 2pm. Who’s Your Walkie? is closed for some services on major holidays, but always open for Overnight Plus service, 365 days a year. Please call or email for specific details. All new clients to Who’s Your Walkie? must first participate in a New Customer/New Pup Meet ‘n Greet. The Meet ‘n Greet occurs in your home and allows us to get to know you and your pup. During this meeting we will explain available services to help you determine which are right for you and your pup. In addition, we will explain how our online Walkie Client Connect system works. We also want to ensure that your pup is ready to join our pack hikes. There is a $25 charge for this initial consultation, payable by credit card or cash. This charge is credited to your account if you register and book monthly services with Who’s Your Walkie? To setup you Meet N Greet, click on Make an Appointment and pick a date and time that work for you. We will confirm and meet you in your home. If you do not see a time that is convenient, give us a call at (831)536-4920 and we will make a personal arrangement that works for you and your pup. Is Who’s Your Walkie? Bonded and Insured? Yes, we are bonded and insured by https://www.petsitllc.com, the leading specialty insurance company in this field. Yes, all Who’s Your Walkie? Lead Walkies are certified by https://www.dogtec.org, the leading training company in this field. Our Lead Walkies, who participate on all hikes, receive 24-hours of classroom education, including First Aid and CPR training. In addition, all Walkies go through our extensive Who’s Your Walkie? training program. Please place all service requests through the Walkie Client Connect system. This is available on both your home computer and mobile device application. We do not accept requests via phone, email, or other means outside of the Walkie Client Connect system. We never want to risk a missed call, voice mail, etc., that may result in a missed service. When Do I Need to Make A Service Request? Service requests are best made at the beginning of the month for your planned services for the month. This allows Who’s Your Walkie? to staff to meet all our client’s needs. During the month, additional service requests may be added to your monthly schedule. We ask for 48 hours of notice. We always do our best to accommodate, but at times we will be fully booked and may decline requests. An additional fee of $7.50 will be charged for requests made within 24 hours of the requested service. How Do I Change or Modify a Service I Have Booked? All services may be easily changed or cancelled in the Walkie Client Connect system. All services are paid for by credit card that you maintain in the secure Walkie Client Connect Portal. For daily services (Hikes/Day Care/Puppy Care), please cancel at least 48 hours prior to scheduled service for full account credit. For Overnight Pet Care, please cancel 7 days prior to scheduled service for full account credit. Cancellations made less than 7 days prior, but more than 48 hours prior will receive an account credit of 50% of the service charge. Cancellations made 48 hours or less will receive no account credit. If we can rebook a cancelled overnight service with another client, we will issue a full refund. For Holiday Overnight Pet Care, please cancel at least 14 days prior to scheduled service for full account credit. Cancellations made between 7 and 14 days prior to service will receive an account credit of 50% of the service charge. Cancellations made 7 days or less will receive no account credit. If we are able to rebook a cancelled overnight service with another client, we will issue e a full refund. Do My Pets Need Vaccines Before Their First Service? All animals must be current on all vaccinations. For dogs, this includes DHLPP, Bordetella and Rabies, the only exceptions are made for Puppy Care Adventure participants. All dogs/cats must be current on flea and tick and dogs must be current with heartworm medication. WYW highly recommends discussing flu shots with your veterinarian during doggie flu season. How Will You Pick up and Drop Off of My Pup? Who’s Your Walkie? is very flexible. For pet parents who will not be home during pickup and drop off, Who’s Your Walkie? can use key copies, provided by client, key codes, provided by client, key locations, provided by client. We are bonded and insured up to $1 million dollars. Will You Update Me on My Pups’ Day? Updates are provided via email from your Walkie every day. They always include a picture of your pup! To ensure the safety of the pups and our Walkie’s, regularly scheduled walks are canceled when the federal, state, or local government closes due to inclement weather. If there are no closures, your Walkie will get to your home to care for your pet as soon as safely possible. In extreme weather conditions (i.e., heavy rainfall, tsunami, extreme heat, etc. ), dogs will be taken out long enough to relieve themselves, and the remainder of a short visit will be spent indoors. Please leave a towel out so that in wet conditions we may dry off your dog. If a Walkie is unable to reach a pup due to road closures or other complications, the Walkie will call the you at the emergency number(s) you have provided. Transport pet(s) to an emergency clinic if the previous two options are not feasible. All Walkie’s are trained and certified in first aid and CPR for dogs.